According to Mobily, Apple is working on releasing localized Arabic language support for the iPhone 3G with the next iPhone software update. Currently the only method to enable Arabic support on the iPhone is to jailbreak then purchase Arabtaller. Unfortunately jailbreaking will void the Mobily warranty. You can reverse the jailbreak if you need to. 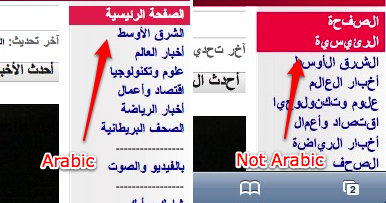 This article by Dan Moren over at Macworld explains the issues with the lack of Arabic in the iPhone 3G and how it needs to be addressed directly by Apple. The iPhone has Arabic already. now we are waiting for the 3GS from Mobily.